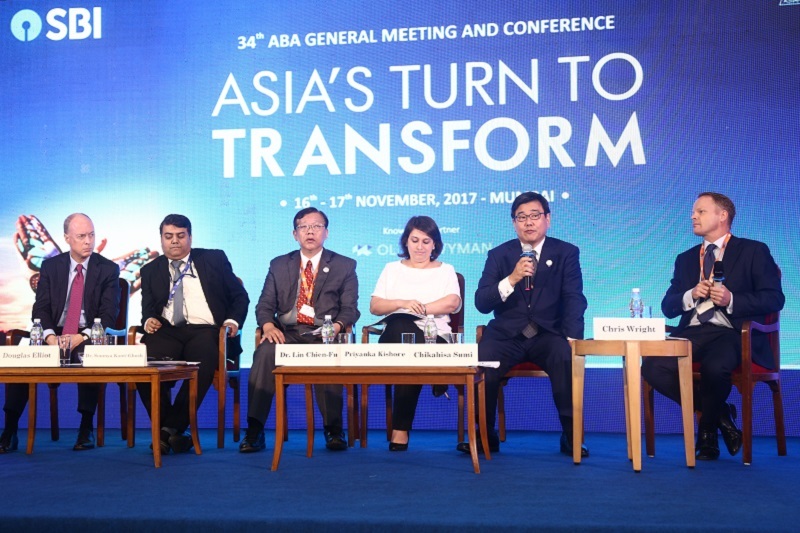 Over 200 bankers from Asia-Pacific, the Middle East and other regions – composed mainly of members of the Asian Bankers Association (ABA) led by ABA Chairman Mr. Daniel Wu, President and CEO of the CTBC Financial Holding Co. from Taiwan – attended the 34th ABA General Meeting and Conference held on November 16- 17, 2017 in Mumbai, India. 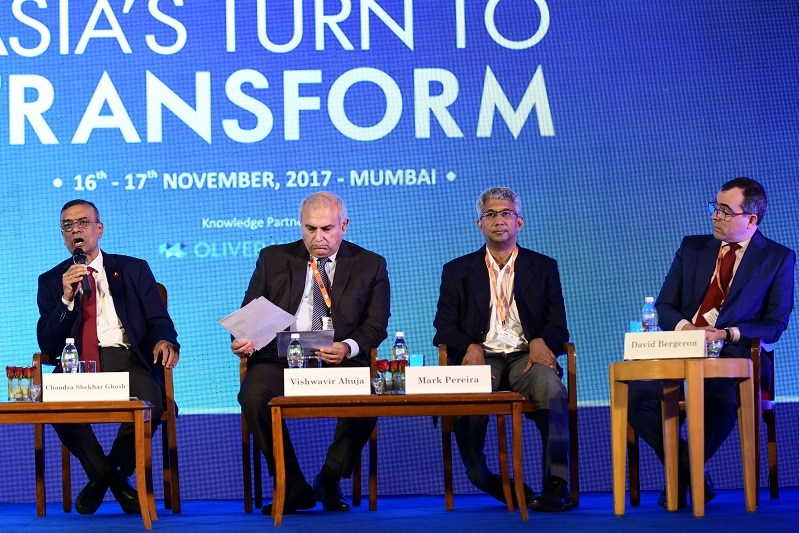 Hosted and organized by State Bank of India, the two-day Conference was held at Trident Hotel Nariman Point. 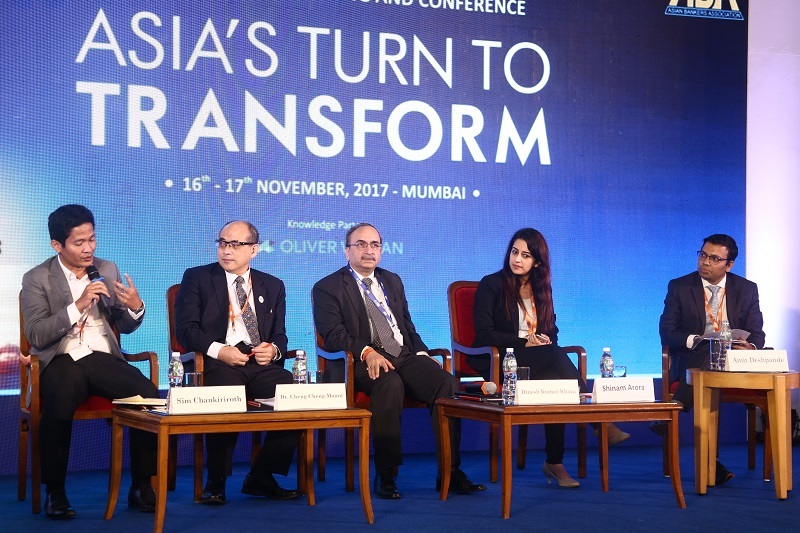 The Mumbai Conference carried the theme “Asia’s Turn to Transform”. Invited speakers from the banking and financial industry, regulatory agencies, and the academe, shared their thoughts on how recent economic and geopolitical developments in the international arena and the continued proliferation of new financial technologies and start-ups are expected to cause financial systems across Asia to undergo significant transformation in the year ahead. 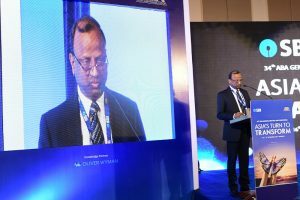 Newly appointed Chairman of the State Bank of India Mr. Rajnish Kumar gave the Welcome Remarks on behalf of the host bank. Mr. Kumar said that the attractiveness of Asian economies as investment destinations has increased with all the efforts that they are putting in introducing structural reforms and increasing their competitiveness. He added that it is the diversity of Asian economies which creates ample opportunities for investment for different types of market players. 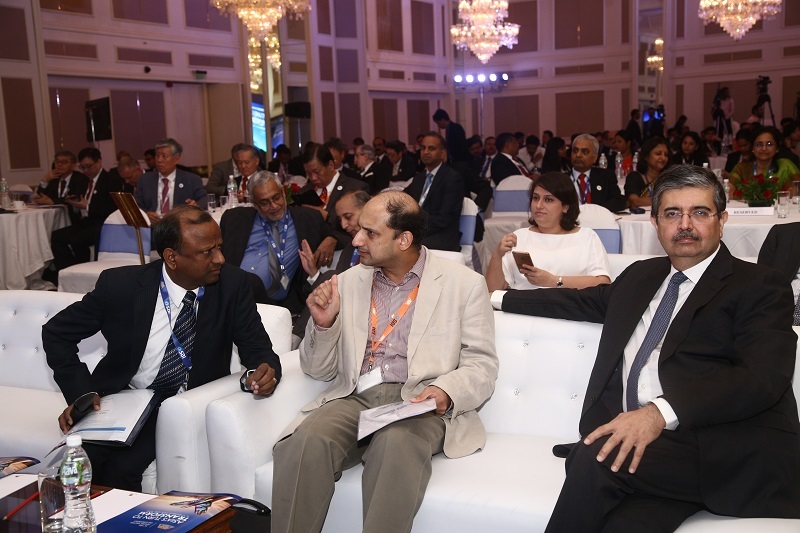 He pointed out that the region has developed economies which provide stable investment avenues on the one hand, and has rapidly growing economies which hold the promise of higher returns on the other. He further underscored the crucial role adopted by banks in performing financial intermediation which is essential for financial development. He also noted the emergence and absorption of new technology in the mainstream and their implications for the banking sector. 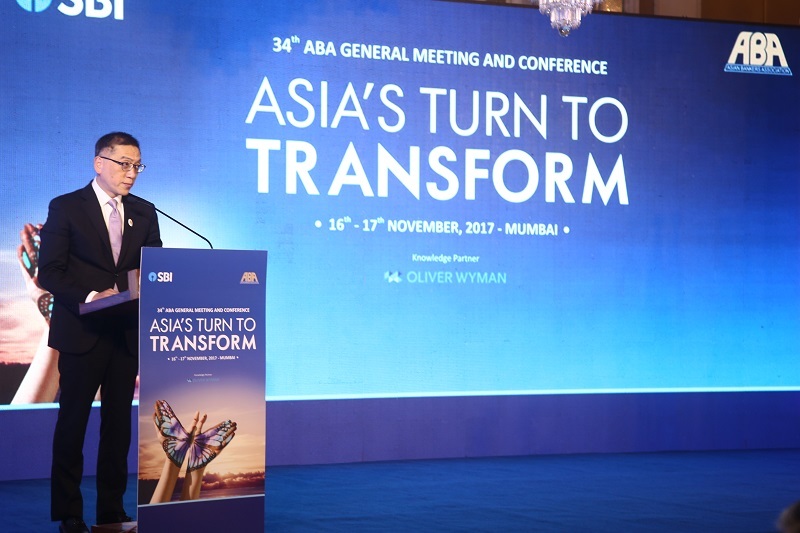 Chairman of the Asian Bankers Association and President of CTBC Financial Holding Co Mr. Daniel Wu from Taiwan delivered his Welcome Statement on behalf of ABA. 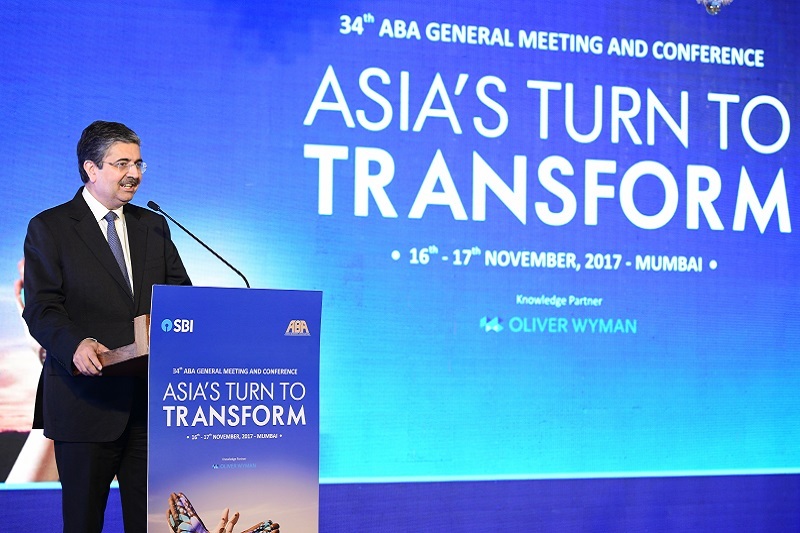 Mr. Wu said that this year’s Conference was a milestone event for ABA as it marked the first time that ABA members gathered in India for their annual general meeting since the Association was founded in 1981. He expressed his thanks to the State Bank of India for offering to host the Conference this year. 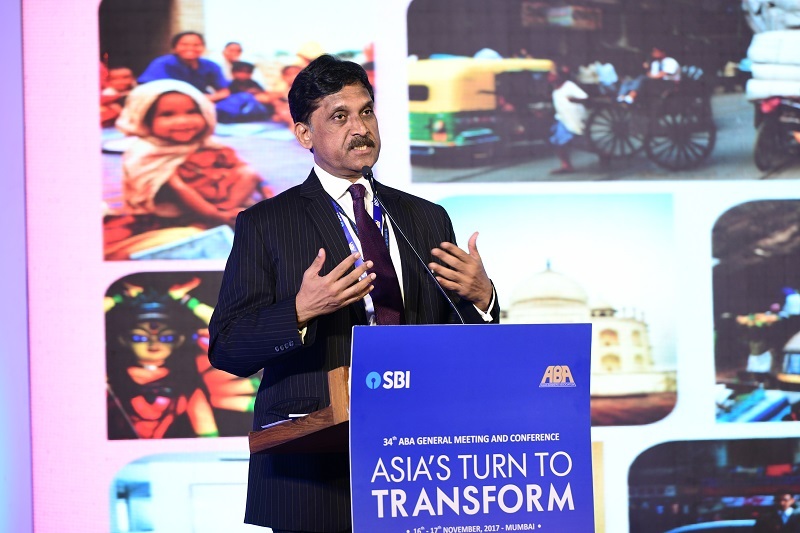 He said that holding the Conference in Mumbai, the country’s commercial and financial center, provided ABA members a valuable opportunity to gain a better understanding of the Indian market – its economy, 1 its trade and investment potentials, its banking and financial sector, and its people and manpower resources. 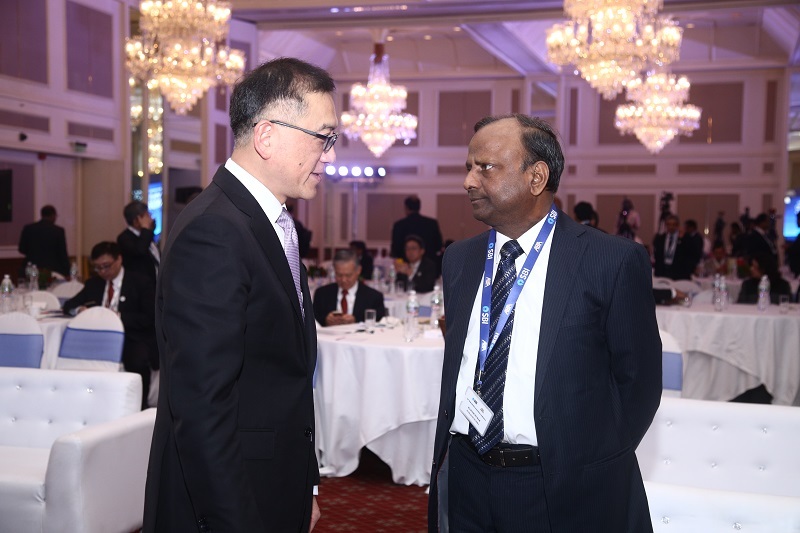 Furthermore, it served as an occasion for them to establish contact with important decision makers in business and government, and with the important players in India’s banking and financial industry, thereby helping them in their effort to seek and identify business opportunities in the country, Mr. Wu added. Mr. 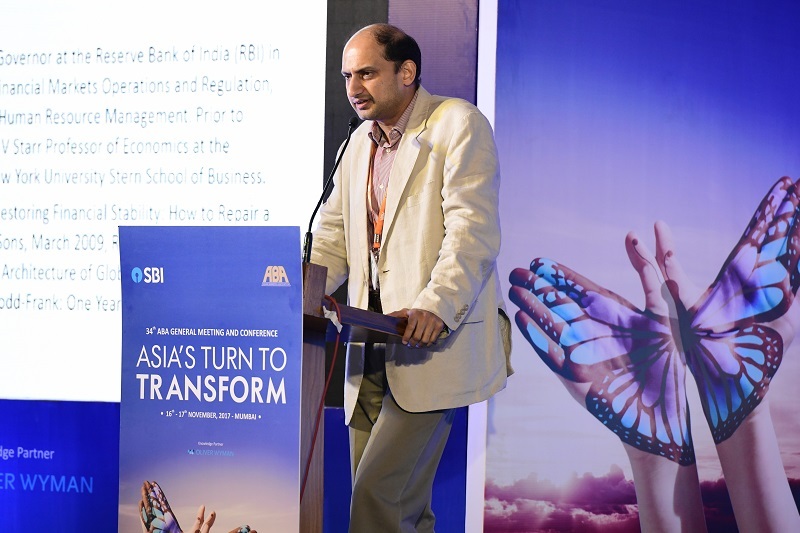 Viral Acharya, Deputy Governor of the Reserve Bank of India attended the Conference as Special Guest of Honor. In his address. Deputy Governor Acharya stressed that efficient monetary transmission is a sine qua non for the successful pursuit of the objectives of any central bank. He said that over the past two decades, it has been the endeavour of the Reserve Bank of India to strengthen the monetary transmission process, but noted that these efforts have not yet yielded the desired results. 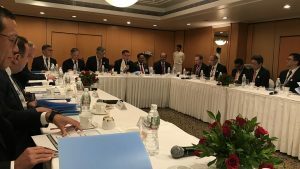 He pointed out that the transmission from the policy repo rate to banking lending rates, which he said is the dominant transmission channel in India, has remained a matter of concern. 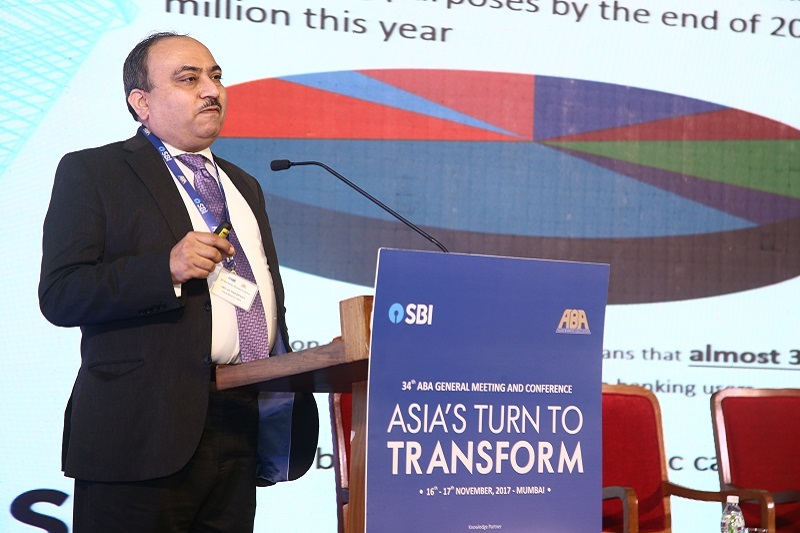 With the recent explicit objective of price stability mandated by the legislature, the issue of smooth monetary transmission has assumed an added significance, Mr. Acharya said. He added that against this backdrop, the RBI has recently put out a report by the Internal Study Group to address the weaknesses of the existing monetary transmission system. According to the Deputy Governor, a key suggestion is whether to shift the loan pricing system from an internal benchmark to an external benchmark, a matter that the Reserve Bank of India will consider at an appropriate time. 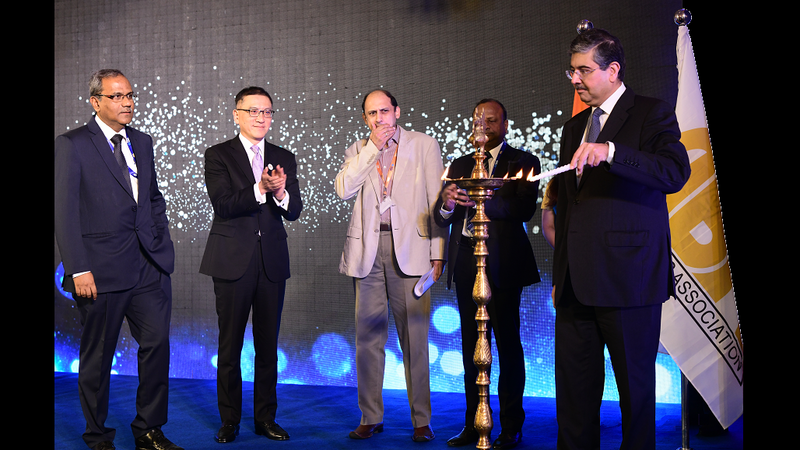 Invited as Keynote Speaker was Mr. Uday Kotak, Executive Vice Chairman and Managing Director of Kotak Mahindra Bank. In his speech, Mr. Kotak shared some of his insights on the future of banking and its implications for the financial services sector. 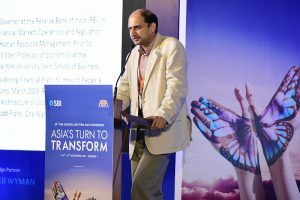 Given the ongoing transformation in the banking industry, he posed certain questions that he said need to be addressed. 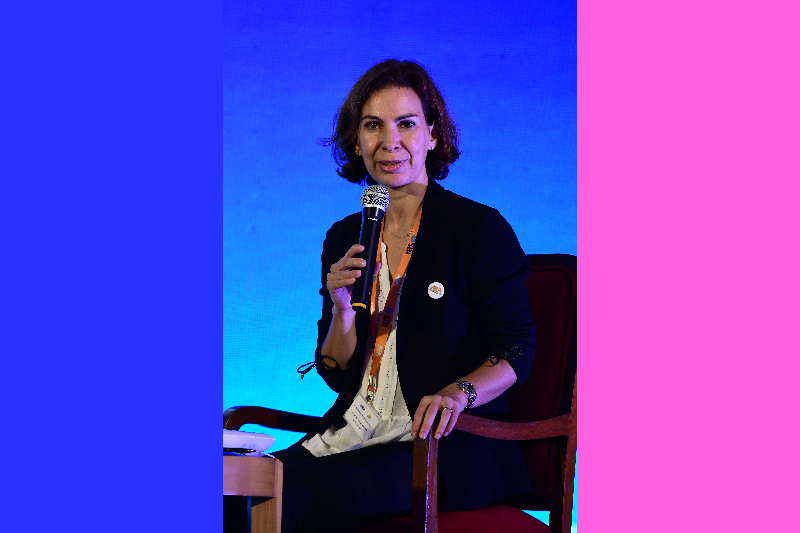 These include: Who will own the customers; what will be the role of banks; how are banks to deal with the bundling and unbundling of products; how will banks manage the future with the current cost structure; and what changes should be made in the bank’s business models, taking into account issues concerning IT, cybersecurity, and manpower skills, among others. Mr. Kotak noted the major changes taking place in India. 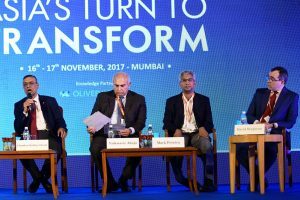 He pointed out that digital transformation has reshaped the contours of many industries in the country. The changes taking place in telecommunication are now being unleashed in banking, enhancing customer experience, increasing productivity and reducing costs beyond belief. 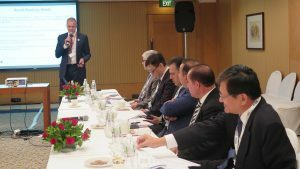 He stressed, however, that the rapid innovation that digital promises needs to be supported with effective laws and regulations which would need to keep pace with the changes, including areas of security and privacy. Mr. Kotak also sees significant consolidation taking place in the financial services industry in the next few years either through mortality or mergers. Nonetheless, he maintains that the ongoing structural changes in the banking sector create a huge opportunity for vibrant financial services, including banking. Plenary Session One focused on the topic “Asia Amid the Global Slowdown” Discussions focused on the prospects of global economic growth, to what extent these may impact on the outlook of the Asian economies, and what policy approach is needed to reinvigorate growth, ensure it is distributed more evenly, and make it durable. The session’s panelists included Dr. Noritaka Akamatsu, Senior Advisor, Financial Cooperation and Integration, Economic Research and Regional Cooperation Dept., Asian Development Bank; Ms. Anshula Kant, Deputy Managing Director and CFO, State Bank of India; and Dr. Muhammed Abdul Khalid, Managing Director/Chief Economist, DM Analytics. Serving as session moderator was Mr. Alexi Chan, Co-Head of the Global Debt Capital Markets, HSBC. 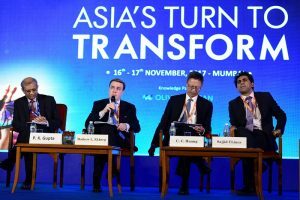 Plenary Session Two addressed the topic “Brexit and the Trump Presidency: Implications for Asia”. Invited panelists shared their perspectives of what the shift in U.S. economic and trade policy under the Trump Administration (espousing the so-called “America First” policy) mean for Asia, and what they think are the economic consequences of Brexit for the region, what its geopolitical implications are for Asia, what opportunities does this hold for deeper cooperation within existing alliances such as the G20. The session panelists included Mr. Chikahisa Sumi, Director, Regional Office for Asia and the Pacific, IMF; Ms. Priyanka Kishore, Lead Asia Economist, Oxford Economics; Dr. Lin Chien-Fu, President, Taiwan Institute of Economic Research; Dr. Soumya Kanti Ghosh, GCEA, State Bank of India; and Mr. Douglas Elliot, Partner, Finance & Risk/Public Policy Practice, Oliver Wyman. 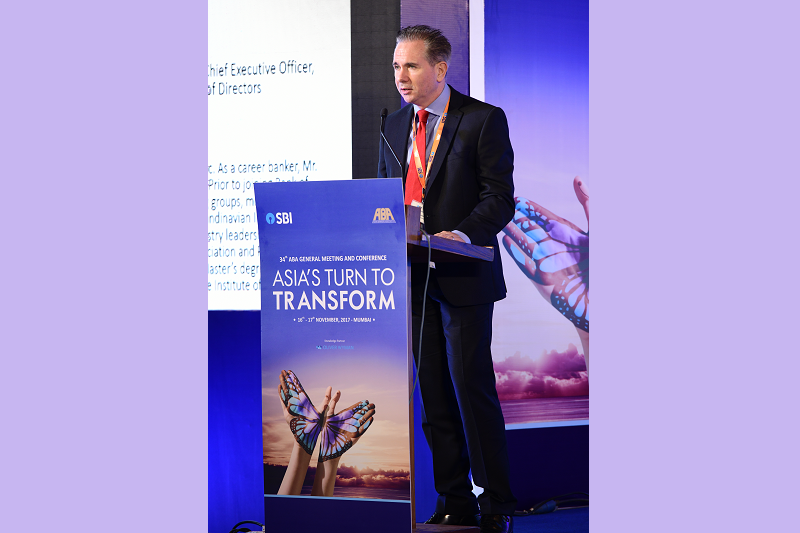 The session Moderator was Mr. Chris Wright, Asia Editor for Euromoney. Plenary Session Three discussed the topic “FinTech: Competitor or Collaborator?” Discussions focused on the implications of the rapid adoption of new financial technologies for Asian banks; how financial institutions can use technology to serve new customers and adapt to competition from firms outside of the financial sector; whether banks and FinTechs can do better by cooperating rather than by competing with each 3 other; and how they can collaborate by providing each other what they now lack, be that data, brand, distribution or technical or regulatory expertise. Invited as panelists were: Mr. Mrutyunjay Mahapatra, Deputy Managing Director and Chief Information Officer, State Bank of India; Mr. Raphael Goue, Country Manager for China, Indochine and North Asia, European Financial Management Association; Mr. Rajan Narayan, Senior Vice President, Managing Director Asia Pacific, BPC Banking Technologies; and Mr. Kunal Patel, Senior Business Leader, Product/Strategy-FinTech Speaker/Business Advisor and Mentor. Serving as session Moderator was Mr. Abhishek Agarwal, CEO, CreditVidya. Plenary Session Four focused on the topic “Digital and Mobile Banking: What it Means for Customers and Other Stakeholders.” This session featured panelists who examined what the so-called FinTech revolution means for the average consumer or business owner, and in what ways is it changing their experience of the financial services industry. 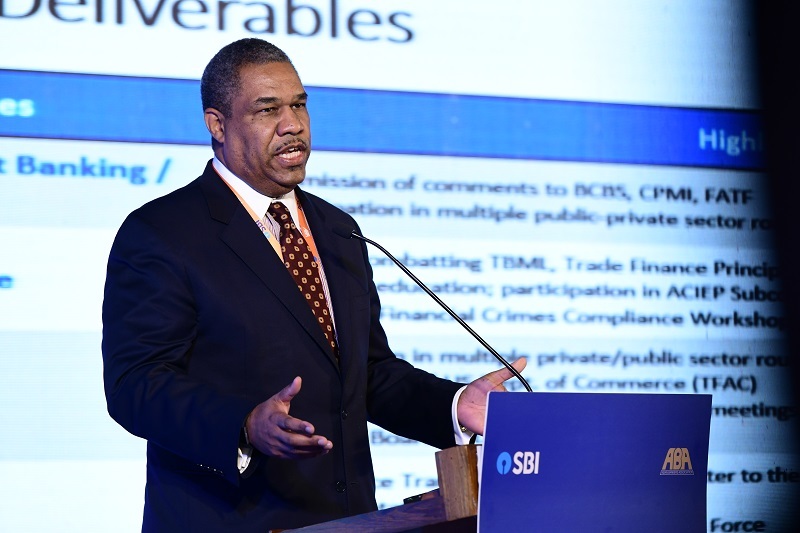 The also addressed the issue of how financial regulators can encourage financial innovation while containing the risks associated with these new technologies, ensuring to continually set in place regulations that strike a balance between rapid change, consumer protection, and financial stability. 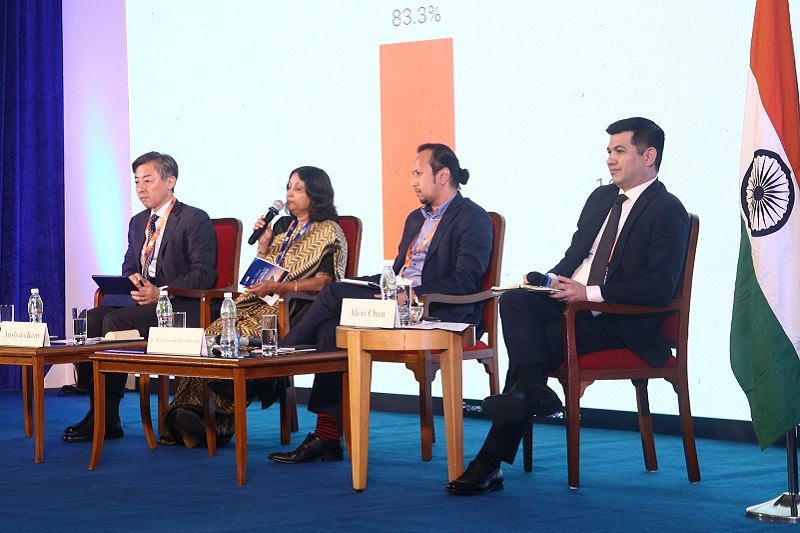 The panelists included Mr. Sim Chankiriroth, Founder and CEO, BanhJi; Dr. Cheng Cheng-Mount, Vice Chairman, Financial Supervisory Commission, Republic of China (Taiwan); Dr. Dinesh Kumar Khara, Managing Director, Risk, IT and Subsidiaries, State Bank of India; and Ms. Shinam Arora, CEO, Primechain Technologies Pvt. Ltd. 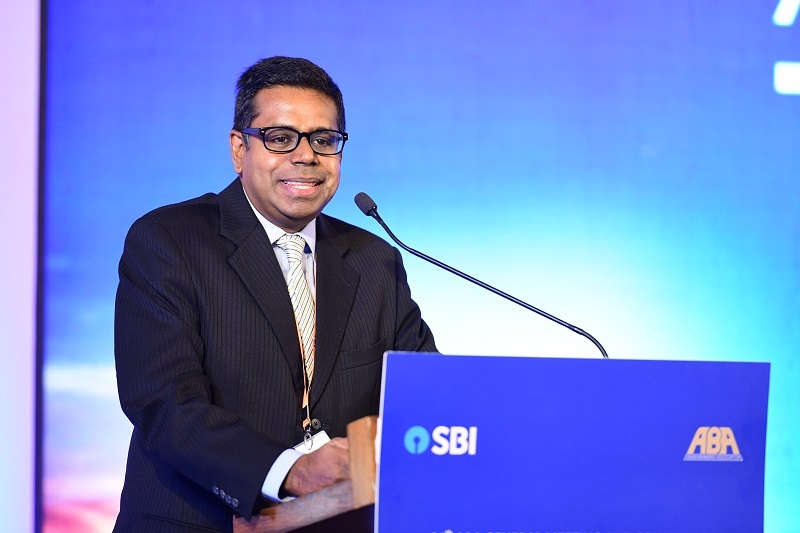 The session Moderator was Mr. Deepak I Amin, Director-SBI Central Board. The first part featured a speech on Combating Financial Crime by Mr. Howard Mendelsohn, Managing Director, Camstoll Group, Washington DC. The second part was a panel discussion on the topic “Financial Inclusion: Learnings from Asian Markets.” It was moderated by Mr. David Bergeran, Partner, Oliver Wyman and featured three panelists, namely, Mr. Chandra Shekhar Ghosh, Chairman Managing Director, Bandhan Bank; Mr. Vishwavir Ahuja, Managing Director & Chief Operating Officer, RBL Bank; 4 and Mr. Mark Pereira, Deputy Regional Director Asia, VisionFund International. 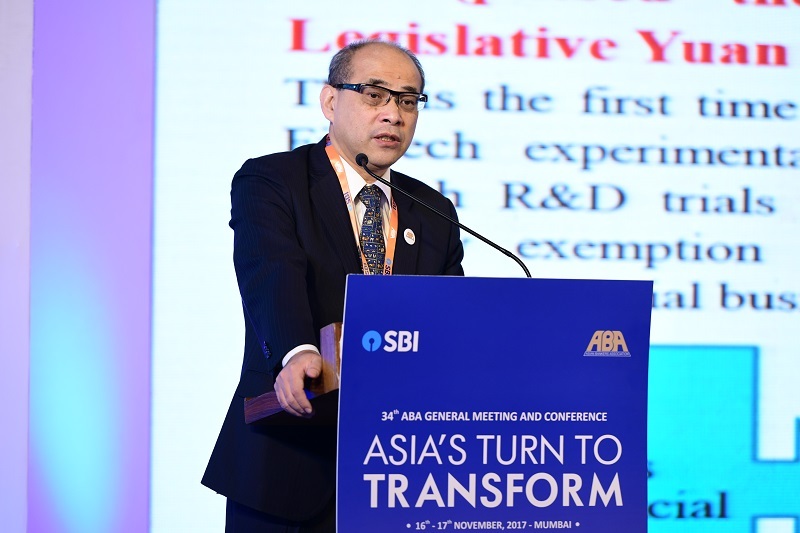 The third part addressed the topic “Basel III: Business and Strategic Implications.” The Moderator was Ms. Aude Schonbachler, Partner, Oliver Wyman, and the panelists were Mr. Parveen Kumar Gupta, Managing Director, Compliance & Risk, SBI; Mr. Sajjid Chinoy, Chief India Economist, JP Morgan; Mr. C. C. Huang, Head of Global Risk Management Group, CTBC Bank; and Mr. Matthew L. Ekberg, Senior Policy Adviser, Regulatory Affairs Dept., Institute of International Finance. 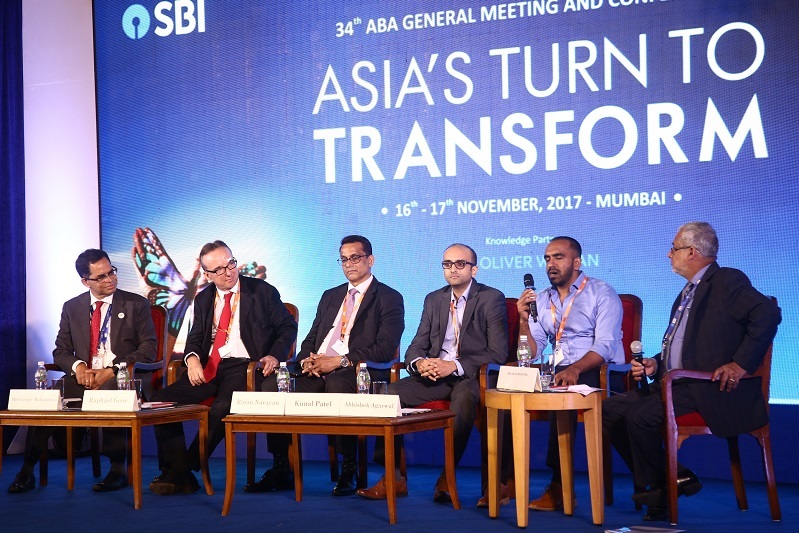 As in past years, the Mumbai Conference also included the “Discover ABA” session, featured country presentations by selected ABA member banks on the economic conditions and current developments and growth prospects in the banking and financial markets of their respective countries. 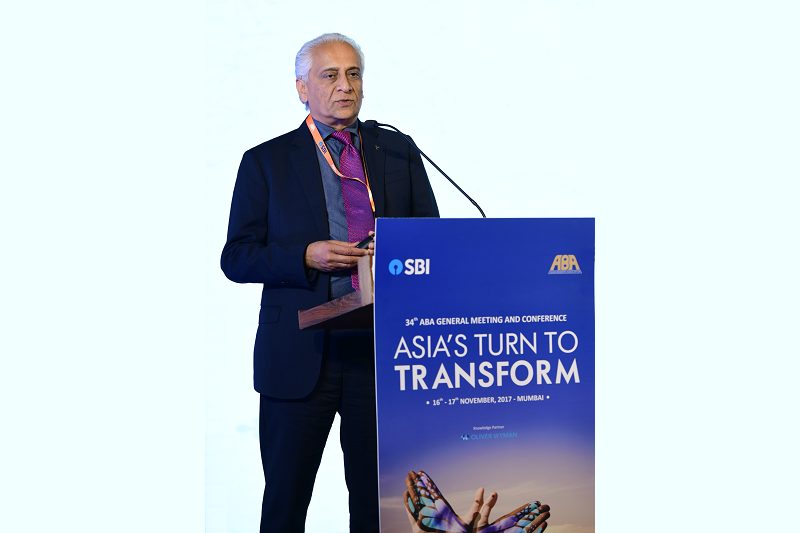 Prior to the start of the “Discover ABA” session, Mr. B. Sriram, Managing Director, Corporate and Global Banking, State, Bank of India, delivered his Opening Remarks to help set the Conference theme. 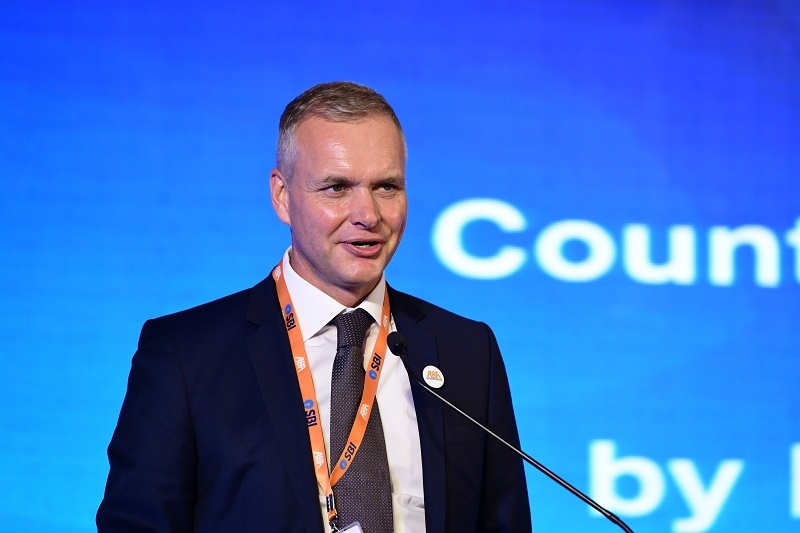 The Discover ABA session chairman was Mr. Andrew Healy, Managing Director & CEO, Bank of Maldives. The country presenters included Mr. Dilshan Rodrigo, Chief Operating Officer of Hatton National Bank from Sri Lanka, who spoke on “Banking Sector in Sri Lanka: Embracing Opportunities and Overcoming Challenges”; Dr. Cheng Cheng- Mount, Vice Chairman, Financial Supervisory Commission, Republic of China (Taiwan), who made a presentation on “Digital and Mobile Banking in Taiwan: Our Vision and Strategy”; Mr. Oliver Hoffmann, Managing Director, Head of Asia at Erste Group Bank AG from Austria, who addressed the topic “Banking in Austria: A Comparison”; and Mr. Siddhartha Sengupta, Deputy Managing Director, International Banking Group at State Bank of India, who talked about “Indian Banking: Emerging Landscape”. An officer of the Bankers Association for Finance and Trade (BAFT) – Mr. Tod R. Burwell, President & CEO Presentation – also made a presentation on “BAFT in Asia” Before Mr. Burwell’s presentation, a Special Address was made by Mr. V. G. Kannan, Chief Executive Officer, Indian Banks Association, presenting an overview of India’s banking industry. Mr. Dilshan Rodrigo, Chief Operating Officer of Hatton National Bank (HNB), updated the meeting on the recent experience of HNB in undertaking business process re-engineering initiatives to achieve transformational change in its organization. 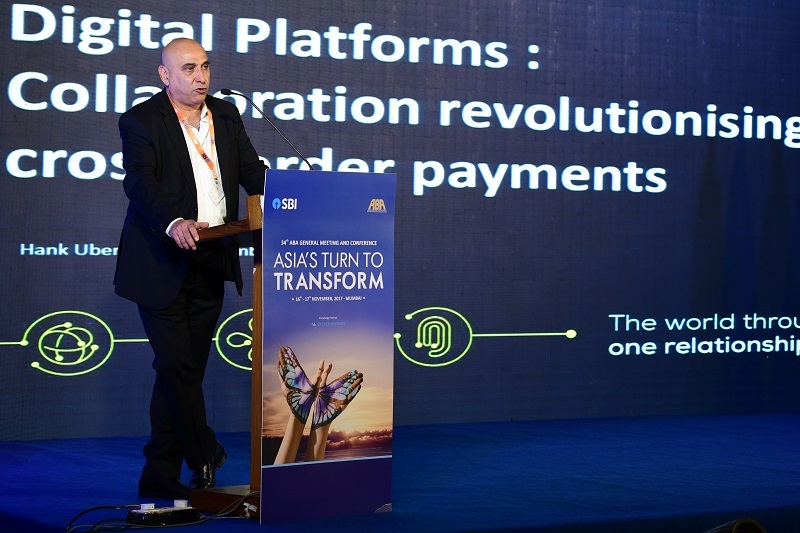 Mr. Oliver Hoffmann, Managing Director, Head of Asia, Erste Group Bank AG, presented a paper sharing the experience of his bank in promoting financial literacy among its customers. 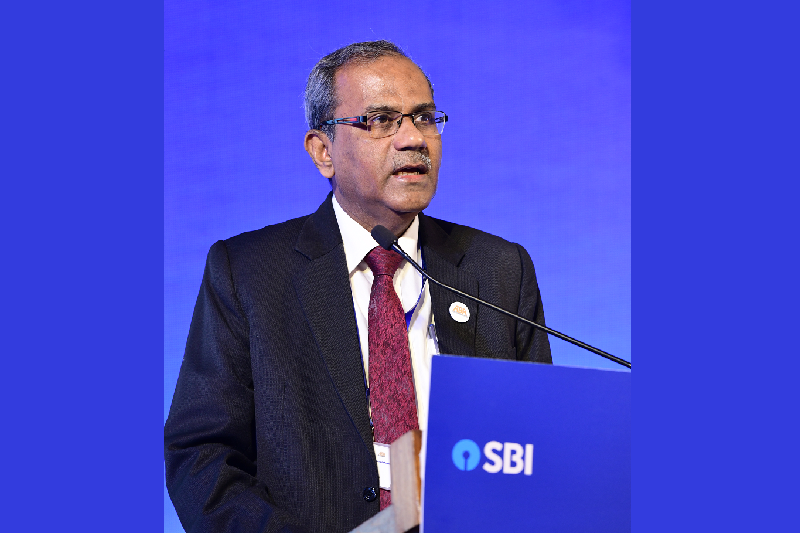 Mr. V. Ramling, Chief General Manager (SME) at State Bank of India (SBI), presented a paper sharing the experience of SBI in promoting more inclusive MSME financing in India. Mr. Dong-Soo Choi, former President and CEO of Chohung Bank from Korea, who served as ABA Chairman from 2004 to 2006, and has been Chairman of the Advisory Board since 2013. The Board agreed to present ABA Medallions to members of the ABA Board of Directors who have shown continued strong support and commitment to ABA and its objectives as demonstrated by their 6 consistent attendance and participation in ABA meetings and other ABA activities. The Board agreed to launch an ABA awards program aimed at recognizing member banks for their achievements in providing services and products or in undertaking projects that are beneficial to their customers and to their respective communities. 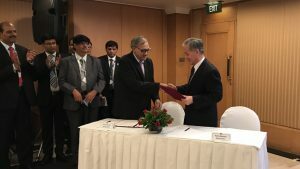 The ABA signed a Memorandum of Understanding with the Indian Banks’ Association (IBA)outlining possible areas of cooperation between the two organizations. The signing ceremony was held before the start of the 54th ABA Board of Directors’ Meeting. Amb. 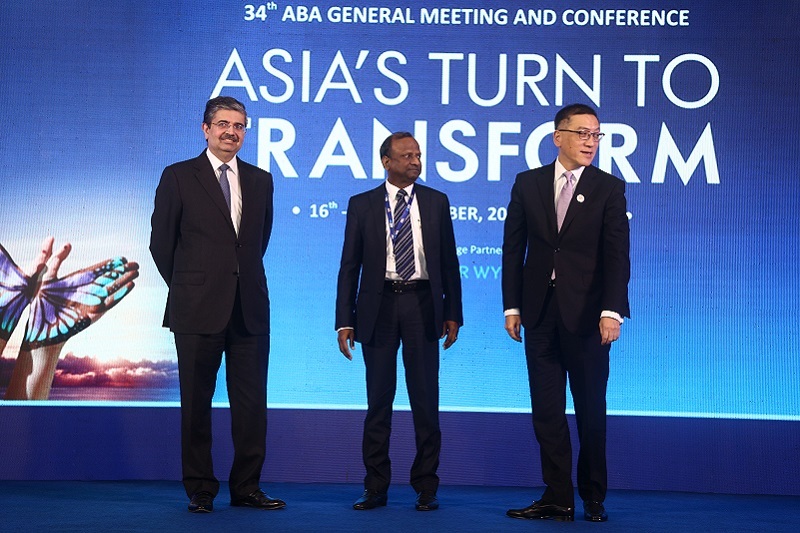 Victor C. Y. Tseng, Secretary-Treasurer of ABA, and Mr. V. G. Kannan, Chief Executive of IBA, signed the MOU on behalf of their respective Associations. The MOU with Indian Banks’ Association was the latest MOU signed by the ABA with other bankers’ associations in the region. 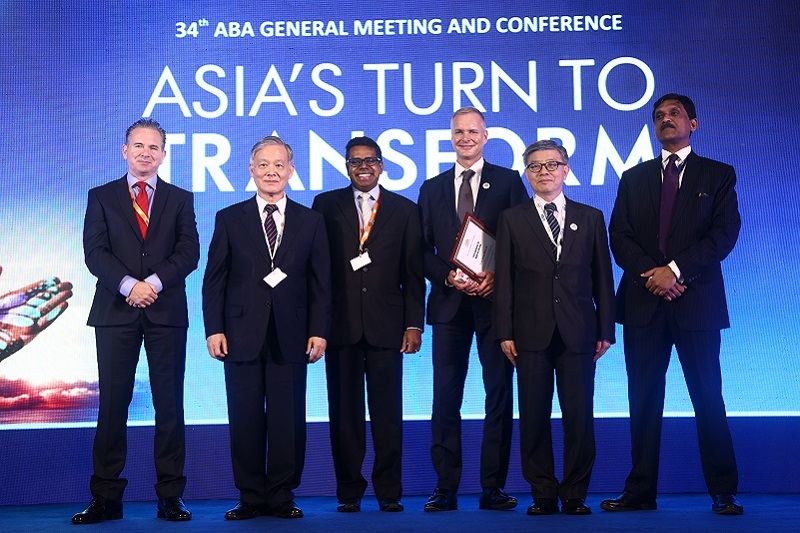 In the past the ABA signed MOUs with bankers associations of Japan, Mongolia, the Philippines, Russia, Sri Lanka, Thailand, Uzbekistan, and Vietnam, as well as with other regional bankers associations such as the Association of Development Financial Institutions in Asia and the Pacific. 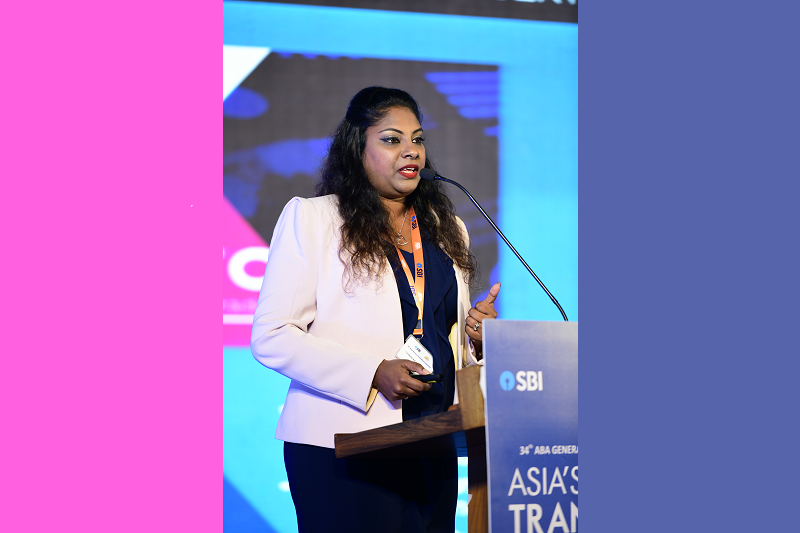 The Mumbai Conference also served as an occasion for the State Bank of India and the Bank for Foreign Trade of Vietnam (Vietcombank) to sign an MOU identifying possible areas of cooperation between two of the biggest banks in their respective countries. 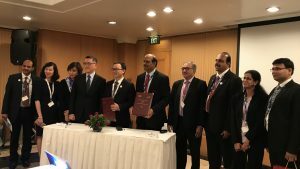 Signing the MOU on behalf of their respective organizations were Mr. Nguyen Ngoc Quang, Director, Financial Institutions at Vietcombank, and Mr. Swaminathan Janakiraman; Head Financial Institutions Group at SBI. The signing ceremonies took place before the start of the 54th ABA Board of Directors’ Meeting and was witnessed by members of the ABA Board. 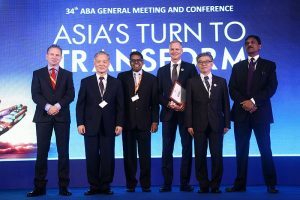 The ABA agreed to hold its 35th ABA General Meeting and Conference in Maldives, with the Bank of Maldives as host organization. 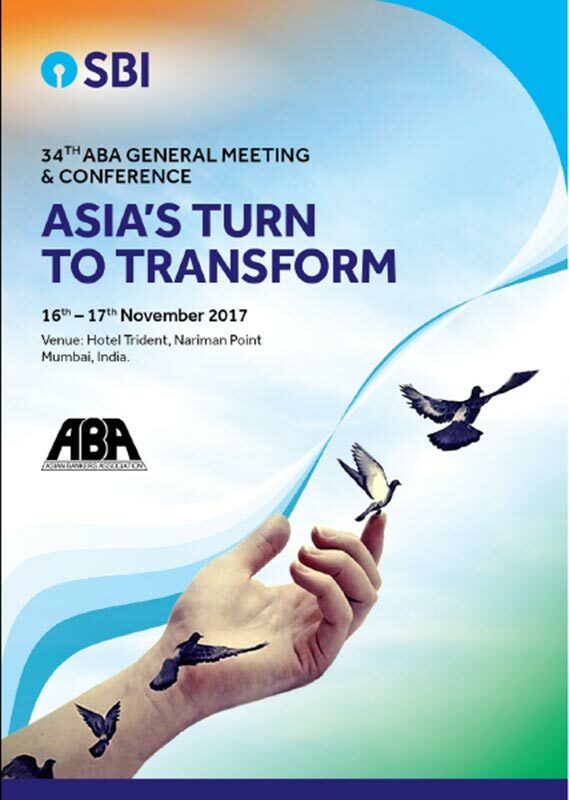 A meeting of the ABA Planning Committee will be held in early 2018 in Maldives to discuss the exact date and venue as well as other preparations for the Conference.